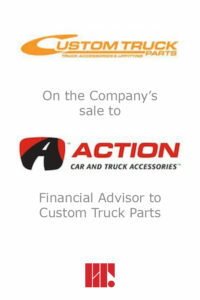 Redcap&Truss acted as exclusive financial advisor to the ownership of CTP Distributors/Custom Truck Parts Inc. (“CTP”) on its sale to Action Car and Truck Accessories (“Action”). CTP Distributors Inc. is Western Canada’s largest truck accessory retailer. With a 60,000 sq ft main central distribution warehouse, three additional regional distribution warehouses (totalling 50,000 sq ft), five retail stores located in British Columbia and Alberta and an e-commerce store, CTP has been able to offer a very large and diverse selection of truck, jeep and commercial accessories throughout Canada. 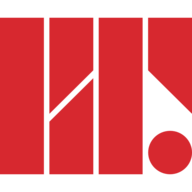 Action Car and Truck Accessories is a leading distributor and retailer of automotive aftermarket accessories with 32 stores from Newfoundland to Saskatchewan, two distribution centres with over 100,000 sq ft of combined space and an e-com store with a head office located in Moncton, New Brunswick.